We are one of the renowned supplier of corporate gifts in Mumbai, which offers virtually the complete range of corporate gifts & promotional gifts. we also supplier of promotional gifts in Mumbai, exquisite range and quality of corporate gifts in Mumbai. Provide in a variety of materials, designs and types, our corporate and promotional gifts range has been received positively by our clients in Mumbai and India. 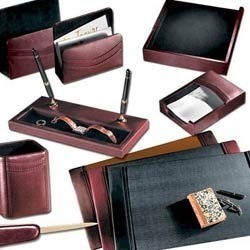 Looking for Leather Corporate Gifts ?